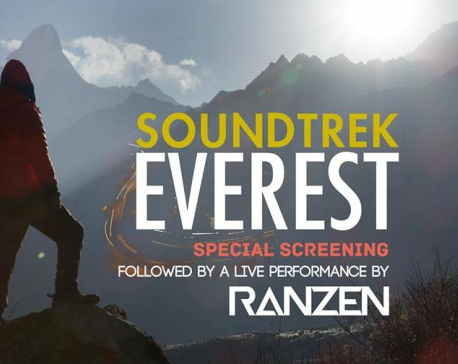 KATHMANDU, May 27: A fine dining pop up restaurant has come into operation at the Everest Base Camp as an attempt to set a Guinness World Record of a pop-up restaurant at the highest altitude. Chef Soundararajan Palaniappan, vice president of Indian Federation of Chefs Association, and chef Sanjay Thakur, vice president of Young Chef Association of India, have teamed up to bring the restaurant into operation under the title Triyogyoni. The restaurant was inaugurated on May 1. According to a statement issued on Saturday, the profit of the restaurant will be dedicated to charity. “The amount raised will be dedicated to a charity. It will promote tourism as well as enhance ties between India and Nepal,” reads the statement. The statement further added that the restaurant aims at creating awareness for sustainable future, and bringing back long-lost respect for the cuisine of real organic dining. The project Triyogyoni was initiated in 2016 by Sanjay Thakur. 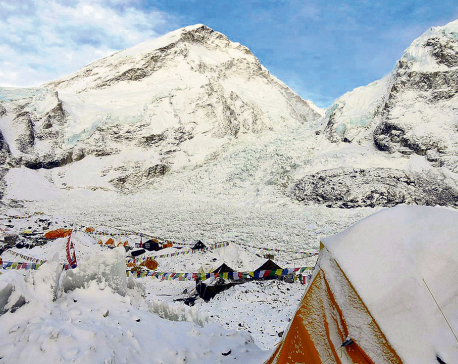 SOLUKHUMBU, May 28: A person has been found dead in the base camp who had been working as a cook.